The actor is an athlete of emotions, says Antonin Artaud, and though actors are an extreme case, nowadays, thanks to Alba Emoting, the capacity for regulating our emotions in a simple physical way, without mental intervention, is possible for everyone The Alba of Emotions offers us the means to re-examine six basic emotions that are universal: joy, sadness, anger, fear, sexual love, and tenderness; to recognize them accurately, without confusions, and to express them genuinely, just as children do. Mastering the triad of “breath + posture + facial expression,” one can step-out from a feeling of anger, attain neutrality, or even better, enter into a tender mood; one can transform sadness or paralyzing fear into mobilizing joy. 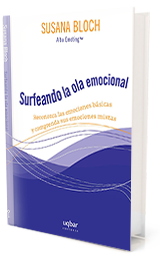 From such an encounter with the essential, we can observe and better understand the complex mixed emotions that we normally feel, realize the anxieties, the neuroses, the depressions, and also the wonderful sublime emotions such as that of spirituality. One can lie through the mouth; the accompanying gesture, however, tells the truth, says Nietzsche. 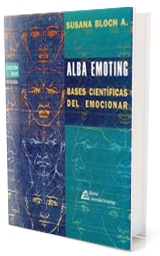 Alba Emoting is a system that allows people to get into physical contact with their basic emotions, by using precise breathing patterns, postural attitudes, and facial expressions that go beyond words.